Topocad is a 3D CAD system made for surveying, mapping, road design, GIS and with functions for point cloud processing, machine guidance and tunnel works. Topocad is a complete package covering field survey to finished designs and ready maps. Chaos desktop is a document and drawing management system for all those working with drawings . TC5D is a brand new web publisher with full 3D functionality in your web browser. 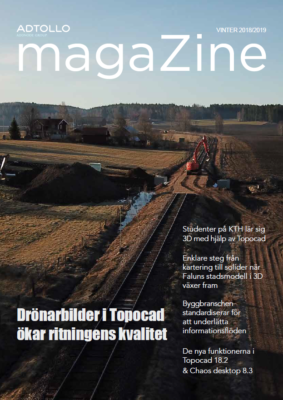 Here you can read about TopoSurv and TopoCadastre , among other things.